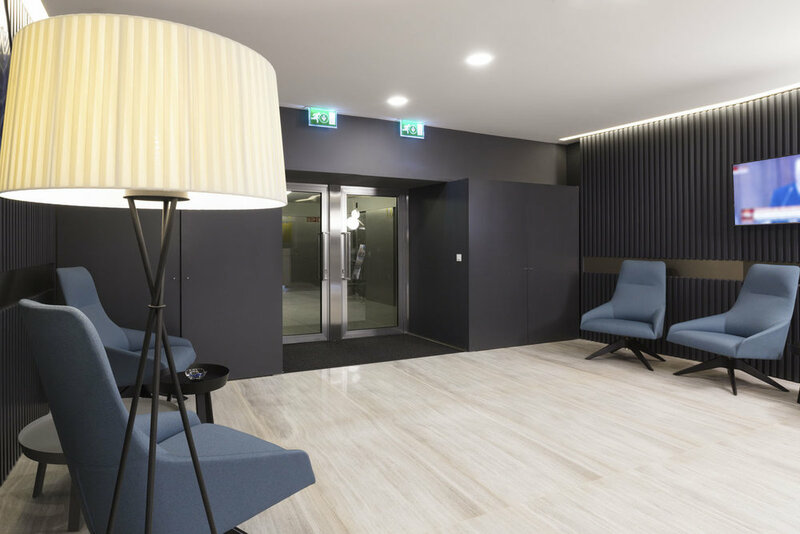 Designed by the trio Lievore Altherr Molina for Andreu World, the Alya armchair is one of the pieces we like to include in our projects (see the reception of SAS Software and KPMG, below) due to its comfort, timeless design and diversity of finishes. Inspired by the archetype of the armchair, Alya has been interpreted through a modern perspective, where quality materials and technology cross with traditional techniques of furniture construction. Enveloping and welcoming, Alya is the perfect solution for public spaces and offices due to its versatility, robustness and curvilinear silhouette, being simultaneously a functional and decorative element.